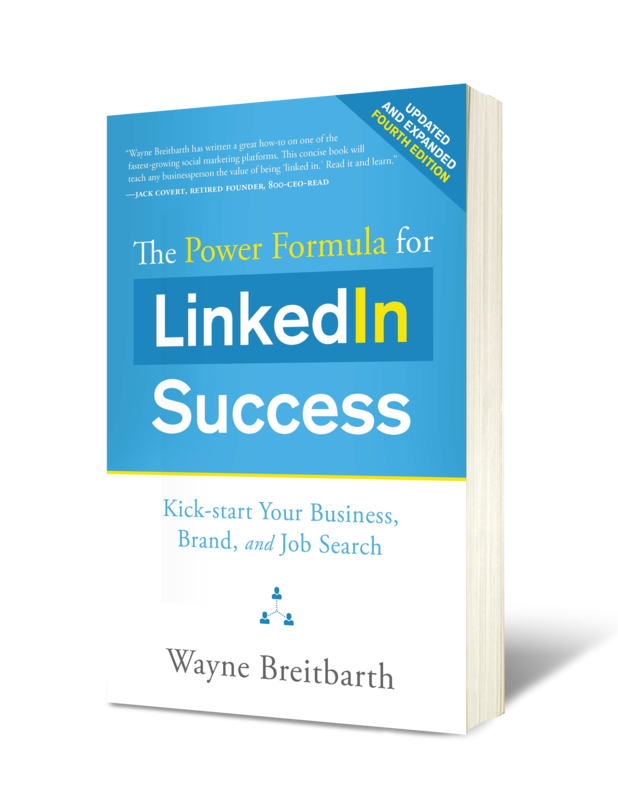 Over 100,000 people have used Wayne Breitbarth's LinkedIn secrets to harness the unmatched power of LinkedIn. They've learned how to find (and be found by) the right people. This has resulted in lucrative new customers, great new jobs, and, of course—more income. Find a great new job—many times when you're not even looking for one! 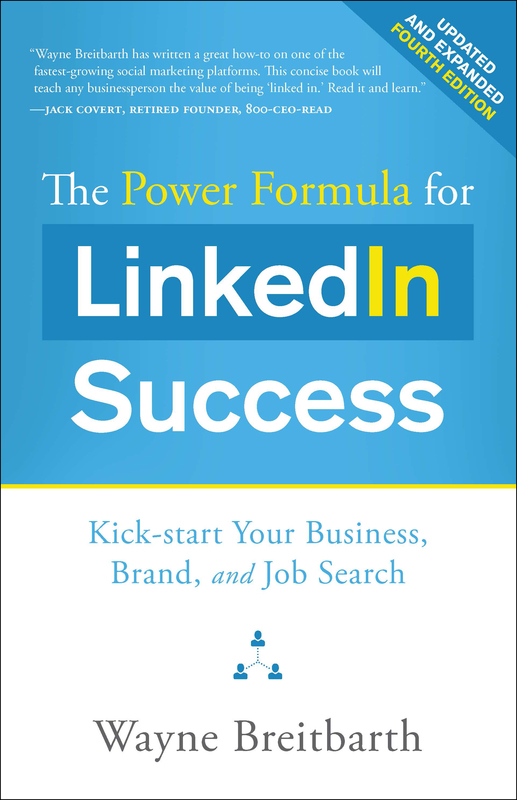 This LinkedIn book is rounded out with both a 6-week, 2-hour-per-week startup plan and a weekly maintenance plan that will motivate readers to make the most of their time on LinkedIn. Wayne Breitbarth has presented to tens of thousands of business professionals at many prominent conventions, association events, and corporate training sessions. His pragmatic yet humorous teaching style is on display throughout The Power Formula for LinkedIn Success, and his credibility is enhanced by the use of specific examples, stories, and illustrations that are the direct result of forty years’ experience in business consulting and business ownership. Any professional—from entry level to CEO—can benefit from this practical introduction to a powerful networking tool. "This is one of my favorite books to provide to new sales team members. It's an easy read with step-by-step instructions how to build a profile and then LEVERAGE IT."